This ride covers 650 miles of the about 2,000 mile long Pacific Coast Bicycle Route between Canada and Mexico. It leads through parts of Northern California, all along the Central Coast, and through parts of Southern California. 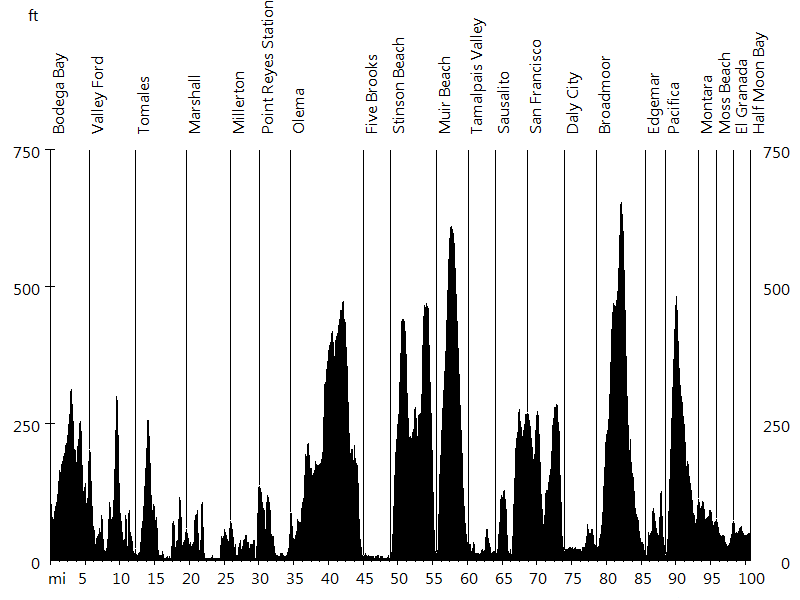 The ride is designed to be a six day series of centuries finishing in Los Angeles. 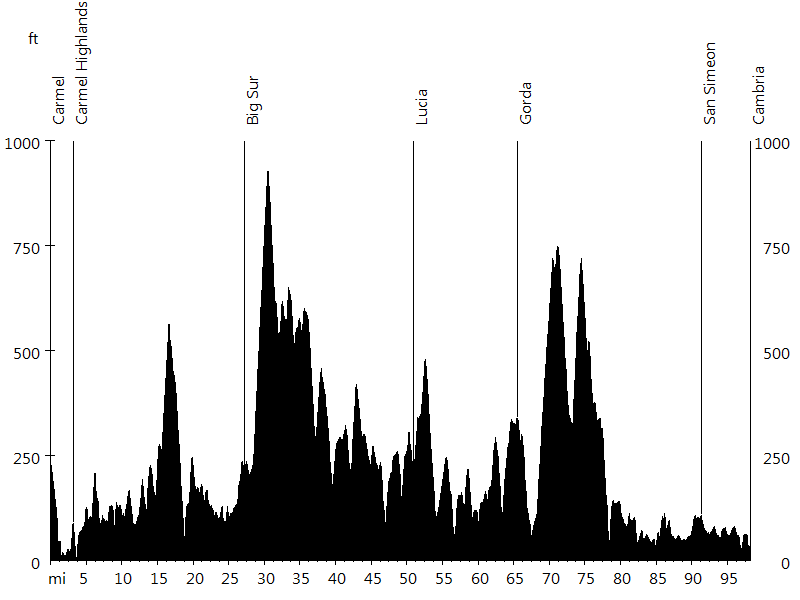 While there is not a single major climb, the overall amount of climbing is significant. Most of the route follows Highway 1, also known as Pacific Coast Highway, Coast Highway, Shoreline Highway, and Cabrillo Highway - one of the most scenic roads in America. Day one starts in Fort Bragg, a logging town surrounded by redwood forests. The route simply follows the Coast Highway. 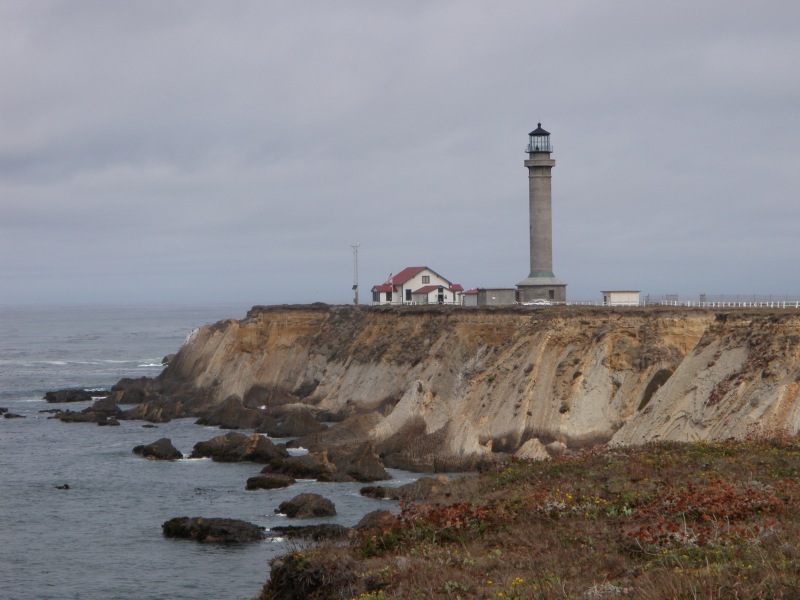 Two worthwhile options include a detour through the town of Mendocino and an out-and-back visit of Point Arena Lighthouse. 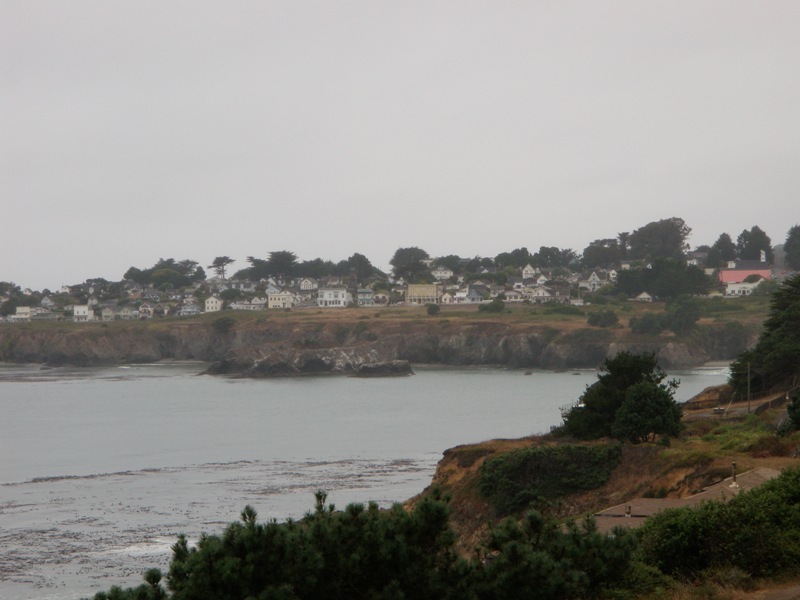 Fort Ross, a former Russian settlement, is another point of interest along the course. The route visits several small towns and includes a mentionable climb near Jenner. The second day starts in Bodega Bay, known as setting for Alfred Hitchcock's "The Birds". The route again follows Shoreline Highway. 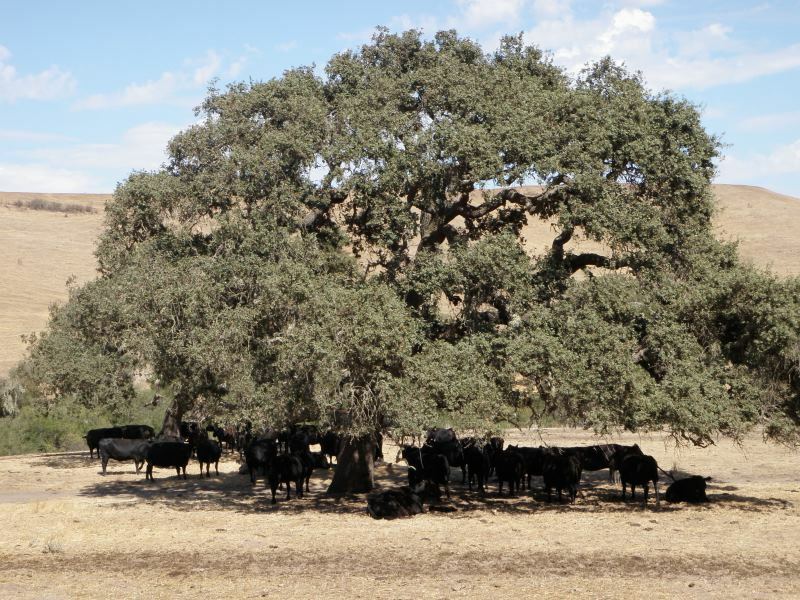 An alternate on quiet back-country roads is available between Valley Ford and Tomales. 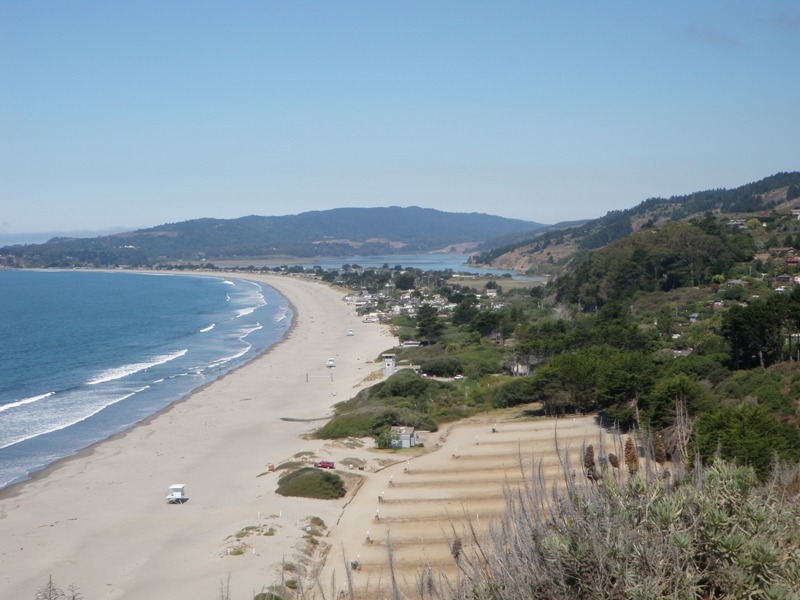 While many cyclists choose an inland route when approaching San Francisco, this ride follows the more scenic but less safe Highway 1, climbing the Pacific shoulder of Mount Tamalpais. The section through San Francisco and its suburbs requires the use of surface roads. 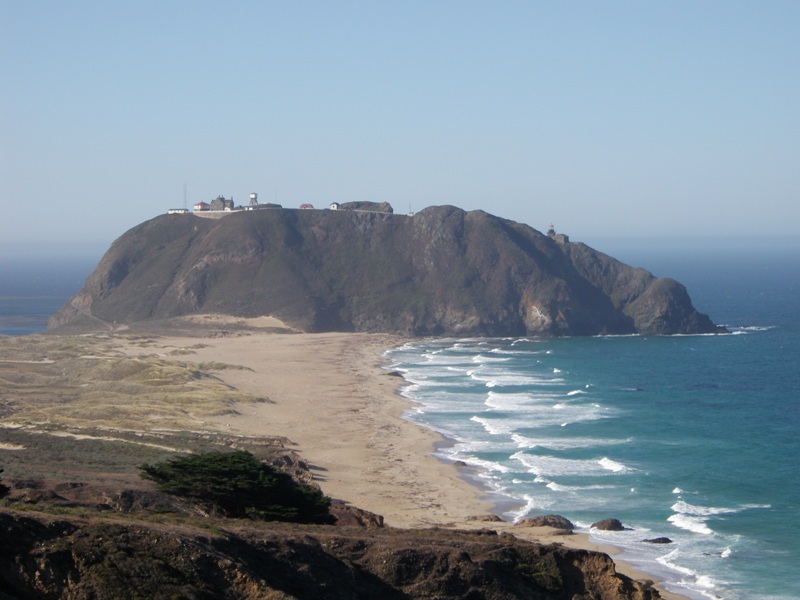 South of San Francisco on the Coast Highway, the route includes a climb and following descent through an area known for landslides and erosion, referred to as "Devil's Slide". Day three starts in Half Moon Bay, the oldest city of San Mateo County, and leads through a large rural agriculture area. The ride continues on Cabrillo Highway until Santa Cruz, optionally using the former stagecoach route through Pescadero, which runs parallel to the coast. 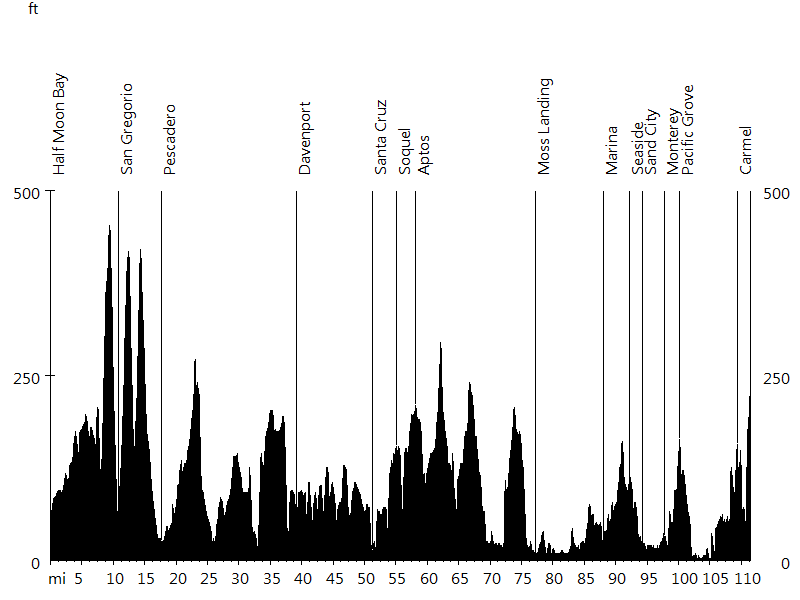 Starting in Santa Cruz, the course follows surface roads and the bike path until Monterey peninsula. 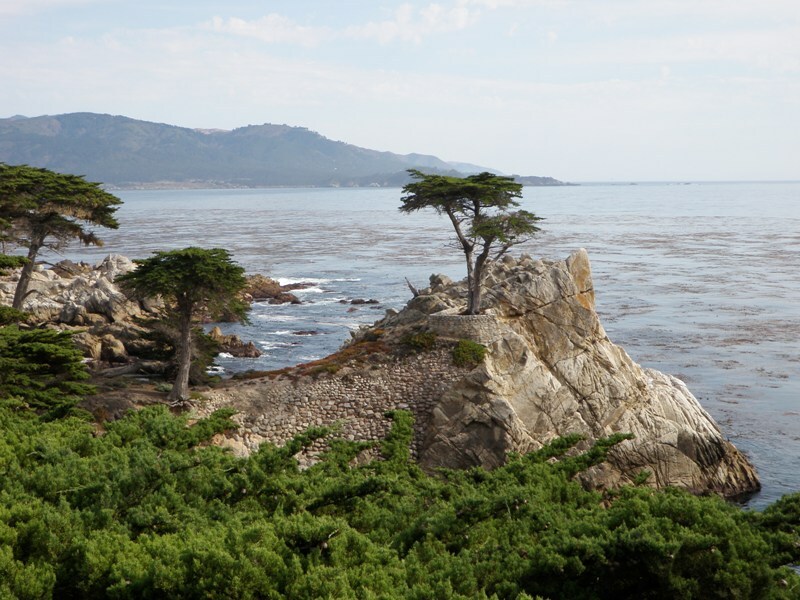 One of the highlights of the day includes 17-Mile Drive, which passes by famous Pebble Beach Golf Course. 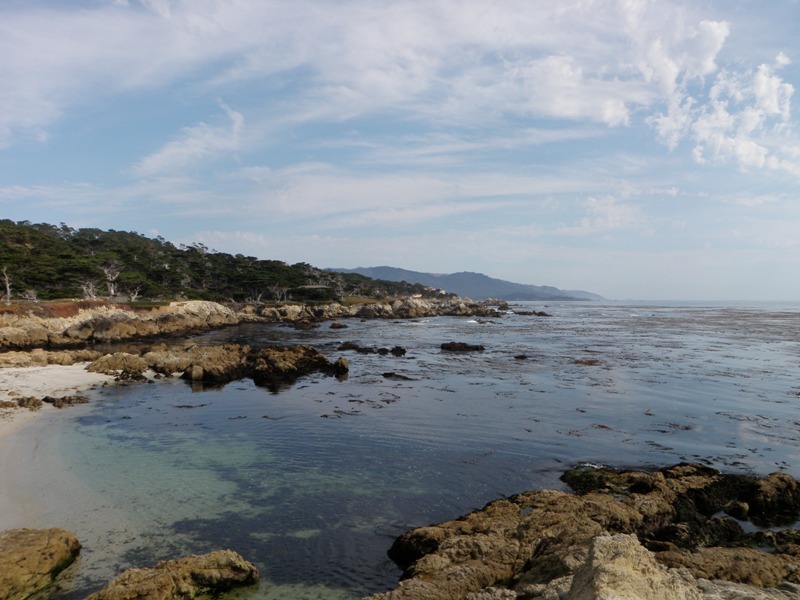 The fourth day starts in Carmel, known for its natural scenery and artistic history. The route again follows Cabrillo Highway. This part of the coast is known as Big Sur and is absolutely stunning. 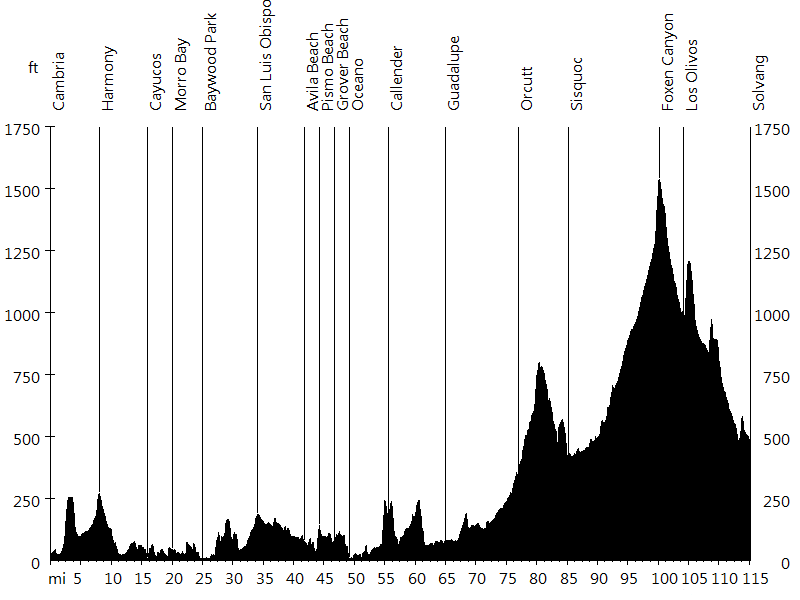 Towards the beginning, the course crosses a few historic bridges, including Bixby Bridge. 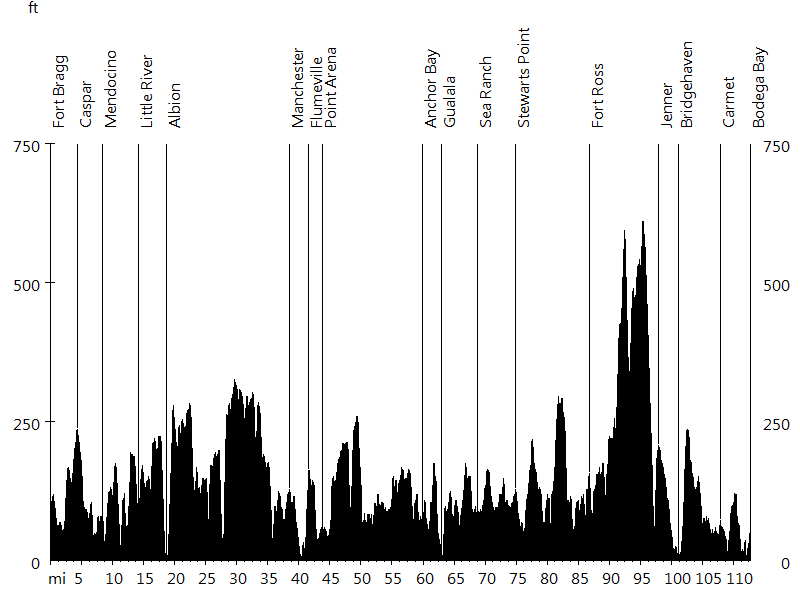 There are only three tiny towns along this section, Big Sur, Gorda, and Lucia. Towards the end, the course passes San Simeon, home of Hearst Castle and one of only two beaches in California where elephant seals come ashore (the other one is in Año Nuevo and is less accessible). 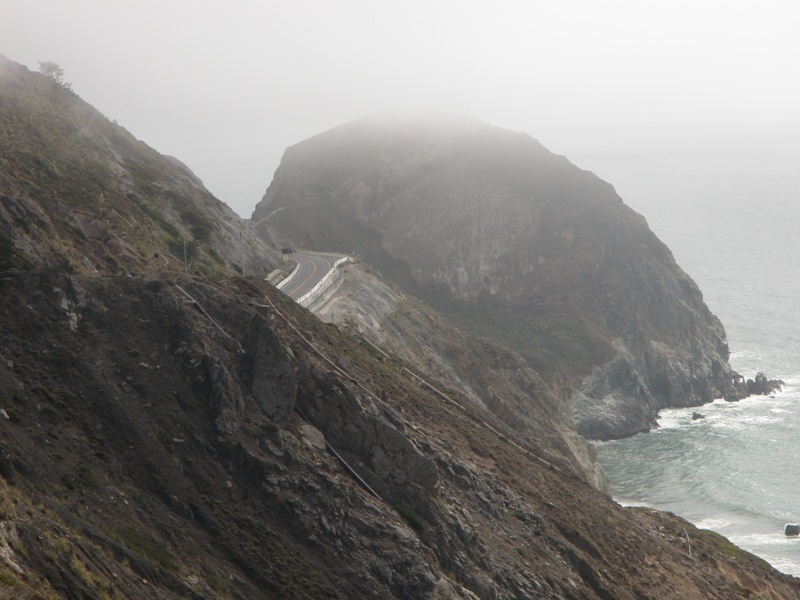 The route includes two mentionable climbs, one in Big Sur, and the other one close to Ragged Point. Day five starts in Cambria, a quiet little seaside town. 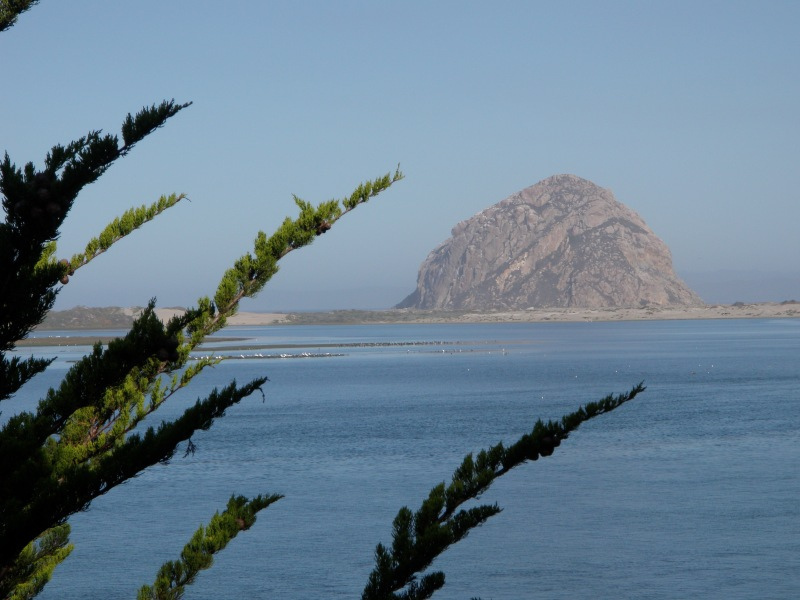 The route follows Cabrillo Highway until Morro Bay. From here it leads inland towards San Luis Obispo, before returning to the coast in Shell Beach. The course then continues to lead inland, passing through Guadalupe and Orcutt. Eventually it follows Foxen Canyon and Ballard Canyon all the way into Solvang. The sixth day starts in Solvang, the "Danish Capital of America". 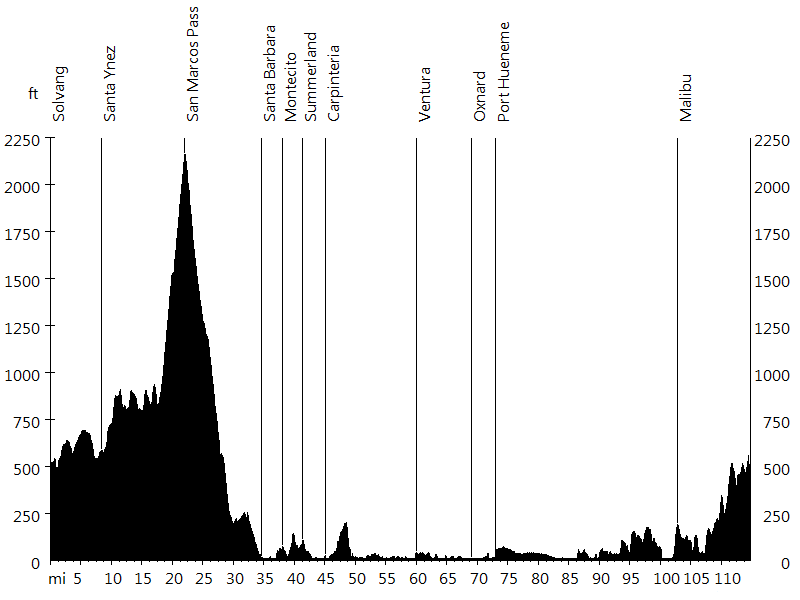 The route leads through Santa Ynez Valley and then climbs San Marcos Pass (the highest point of the ride), before descending to the coast in Santa Barbara. 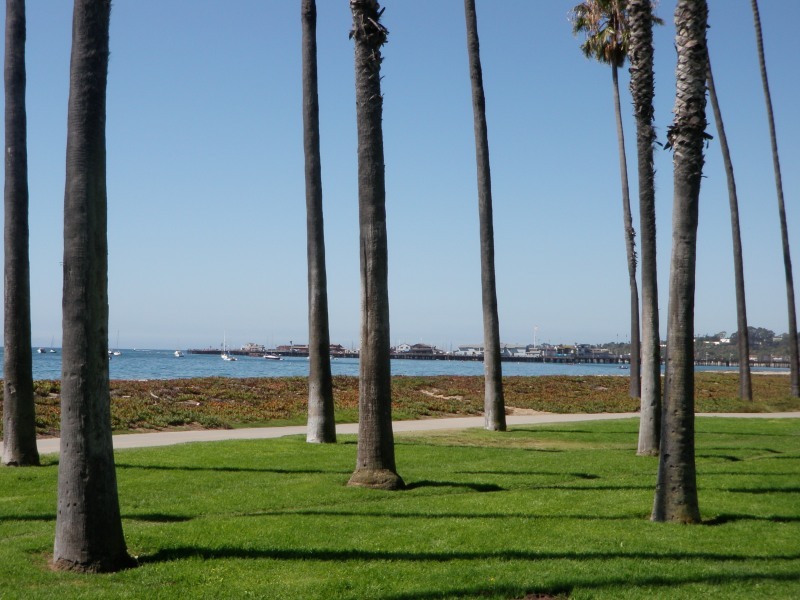 From here it follows the coast, passing through several cities and towns, including Ventura, Oxnard, and Port Hueneme. 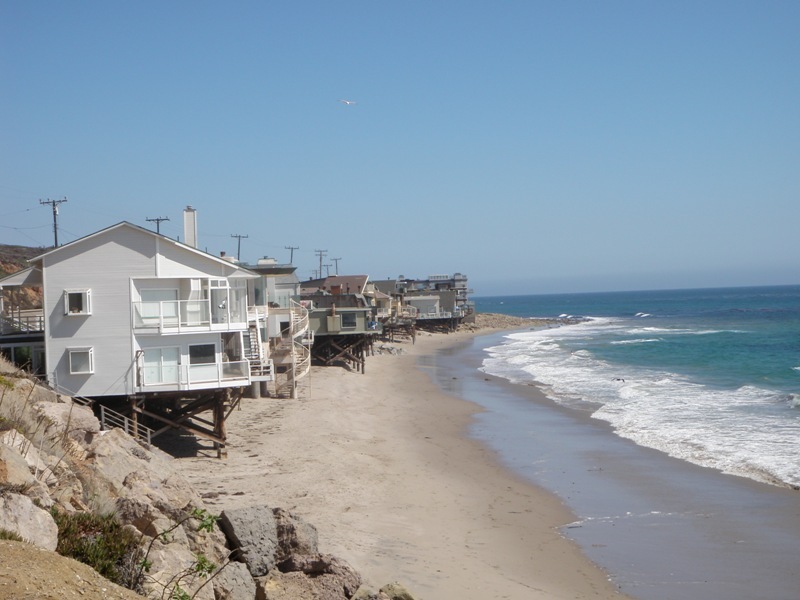 At Point Mugu the route continues on Pacific Coast Highway, which leads into Los Angeles County. What an amazing trip. We rented a minivan and took all day Sunday to drive up to Northern California. There were five of us - Joel G. and I, the cyclists, and Sandra, Memo C., and Sergio J., the runners. While Joel and I were riding, our crew went running and tried to catch us by the time we arrived at the hotel. On the second day we were joined by Mark G. from San Francisco. Except for Ward and Jacky B., who were on a trip around the world, we only met few fellow cyclists. Weather and wind were perfect during the entire trip (we went the week before Labor Day), the only headwind section was around Monterey, where the coast turns west. Traffic was light, and even hazardous locations such as the Pacific shoulder of Mt. Tam and "Devil's Slide" turned out to be no problem. 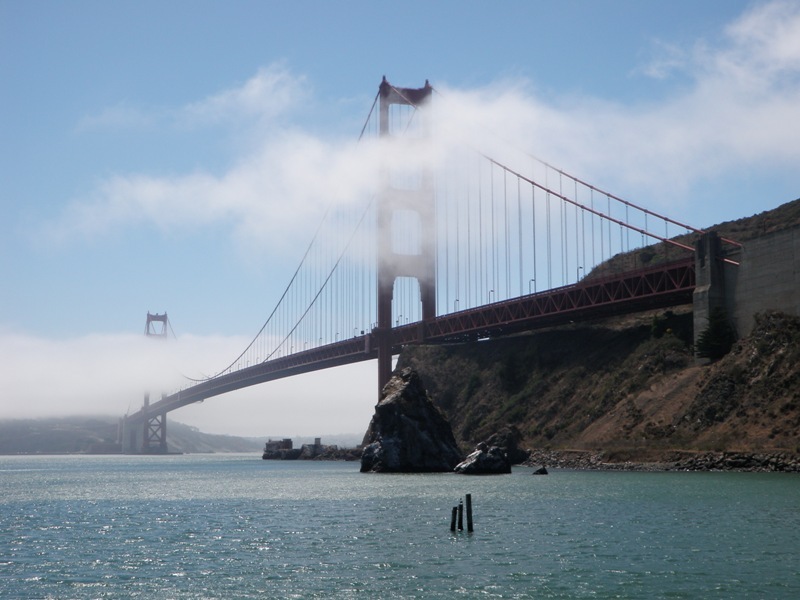 Crossing the Golden Gate by bike is an experience, but my favorite stages include the dramatic shoreline of Mendocino and Sonoma counties, and the spectacular Big Sur coastline, where we saw condors soar and heard sea lions bark while riding along misty cliffs.